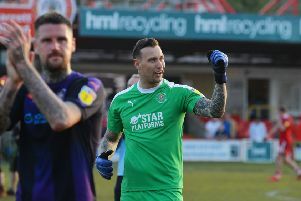 Luton spent £124,069 on fees to agents between February 1, 2018 and January 31, 2019, according to figures released by the FA today. Town accumulated 14 transactions in total, including signing Sonny Bradley, Matty Pearson, Andrew Shinnie, George Moncur permanently in the summer, plus Jorge Grant on loan. They also awarded new contracts to players such as James Shea, Dan Potts, Glen Rea, Alan Sheehan and Marek Stech, while giving a first pro deal to Jack James as well. It’s an increase of £48,544 from this time last season, when they forked out £75,525, while during the 2016-17 dates, Hatters spent £45,603. Town’s outlay is still dwarfed by that of Sunderland, who spent an astounding £2,873,033 in the same time. In fact, Luton are 12th in League One for fees spent, with Barnsley (£428,520) and Charlton (£205,095) well ahead, while even Burton Albion and Fleetwood Town have spent more. Full list: 1, Sunderland, £2,873,033; 2, Barnsley, £428,580; 3, Charlton Athletic, £205,095; 4, Portsmouth, £183,790; 5, Fleetwood Town, £183,356; 6, Peterborough United £176,465; 7, Oxford United, £160,678; 8, Coventry City, £155,909; 9, Bradford City, £154,410; 10, Burton Albion, £131,002; 11, Scunthorpe United, 126,207; 12, Luton Town, £124,069; 13, Bristol Rovers, £96,852; 14, Plymouth Argyle, £91,370; 15, Doncaster Rovers, £88,753; 16, Shrewsbury Town, £77,042; 17, AFC Wimbledon, 62,173; 18, Walsall, £55,499; 19, Blackpool, £45,838; 20, Southend United, £44,658; 21, Rochdale, £42,497; 22, Gillingham, £28,088; 23, Wycombe, £19,500; 24, Accrington Stanley, £4,815.